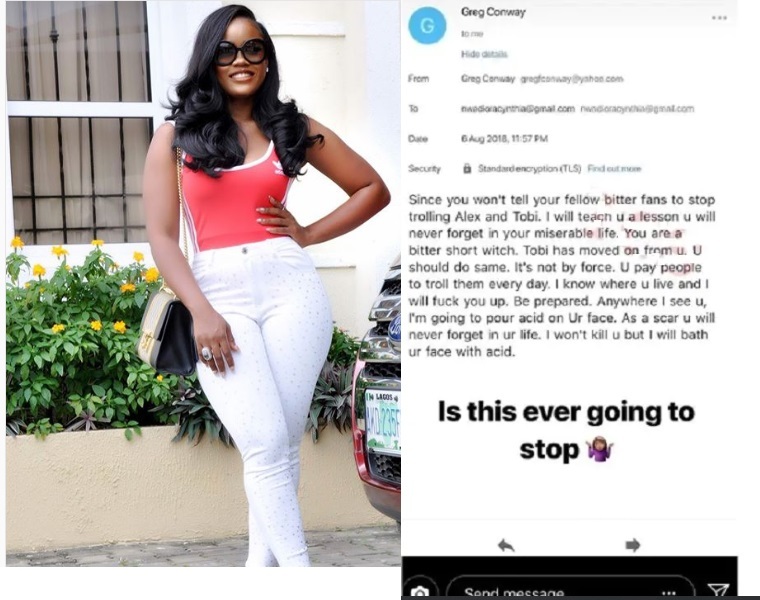 Big Brother BNaija star, Cee-C has taken to social media to reveal that she received an acid threat from a faceless troll. 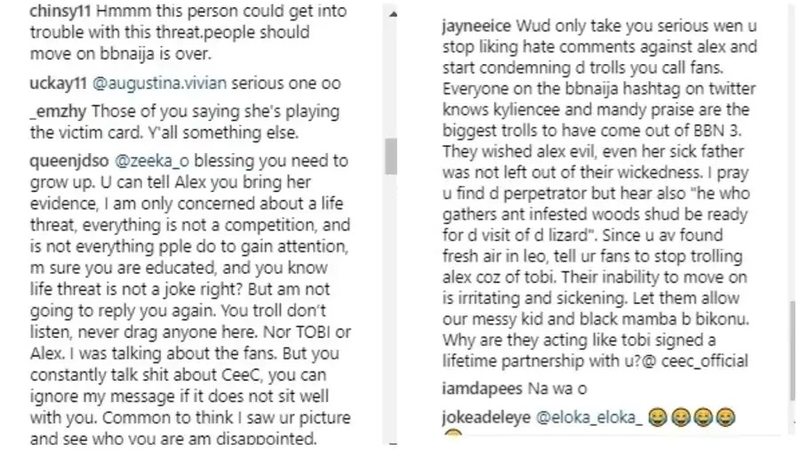 The said troll warned Cee-C about her fans trolling Alex and Tobi. BBNaija drama queen and the most controversial housemate, Cynthia Nwadiora aka Cee-C, seems to have created a lasting impression on some people, most of which is negative. The 2018 BBNaija reality show was no doubt one of the most drama-filled editions of all times. Although this caused a rift between fans of the show, the reality stars have since moved on and may have gotten over their alleged beef. The same however, cannot be said for some fans who for some reasons, have not moved on. She recently took to social media to reveal how she received a threatening email from a troll. According to the mail which she posted on her Insta Story, the fan alleged that Cee-C pays people to troll on Alex over her relationship with Tobi. He ended up threatening to leave Cee-c with a scar she will never forget by attacking her with acid. This caused a lot of reactions from people. While some thought she deserved it, others feels people should know when to move on from on. When will BBNaija 2018 End, Bikonu?